The Ketogenic diet follows a high-fat (60-80% fat), low-carbohydrate (5-10%) and moderate protein (15-30%) intake with the goal of entering nutritional ketosis; allowing your body to produce ketones out of fat as fuel instead of glucose from sugar and carbohydrates. This diet has grown in popularity and has been successful for a multitude of therapeutic uses in research studies including seizures, weight loss, increasing HDL, and lowering triglycerides and LDL, diabetes, and cancer. Intermittent fasting – which taps into ketosis for limited periods of time by restricting feeding times between an 8-10 hour window – has numerous research papers being published and showing incredible research like increased good gut bacteria, decreasing the risk of cancer, stimulating the longevity genes, increased fat burning, improved fasting glucose and insulin levels, and positive immunomodulatory changes for autoimmune disorders. Fasting and entering ketosis is a form of hormetic stress, which can have a beneficial response in the individual. However, for certain people, fasting and the Ketogenic diet may be too much of a stressor. This is been observed in people who feel nauseous or experience digestive issues from too much fat, whose lipid biomarkers go off the charts, have a sensitive thyroid gland, and who experience hypoglycemia when going too long between meals. These people often feel like they are failing or doing something wrong when trying to follow the Ketogenic diet or intermittent fasting, when it may be that this type of approach does not line up with their genetic history for optimal health. As more people consider trying the Ketogenic diet and intermittent fasting, it becomes important to understand why certain diets and fasting works for one and not another. There is a variability in response to fasting and/or a high-fat diet that points towards genetic differences in metabolism that can lead towards positive or negative effects that can be seen in the Nutrition Genome Report. Did Traditional Arctic Populations Follow a Ketogenic Diet? Arctic populations are one of the most fascinating groups to study because of their long-standing presence in one environment and consistent diet, showing clear adaptions to both the specific climate and food intake. Researchers have found that the native Eskimo diet was high in protein (32% or 200 grams), low in carbohydrates (2% or 10 grams), and very high in omega-3 fatty acids (66% and 20 times greater than the mean US population). Another study found that moose, caribou, fish (whitefish, char, trout), and seal were the most heavily consumed traditional food items in all cultures and regions of the Arctic and that these populations have a habit of consistent snacking throughout the day. One fallacy about Arctic populations like the Inuit is that they are an example of a high-fat, low carbohydrate diet that led to a perpetual state of ketosis. While it is true they have a low carbohydrate intake and high-fat diet during certain parts of the year, they are rarely in a state of ketosis due to genetic differences and the creation of glucose from the high intake of protein. The Inuit have has been found to have a deleted allele in FADS1 and FADS2 (found in the Digestion section of the Nutrition Genome Report), that translates to the inability to convert plant omega-3 fatty acids to EPA and DHA, showing another pathway that is enabling a high intake of animal-based omega-3’s. Up to 81% of Canadian and 54% Greenland Inuits have the homozygous genotype in the CPT1A gene and 68% of one Northeast Siberian population have variants in CPT1A, known as the “Arctic mutation.” This mutation results in 20% less enzyme activity of CPT1A, causing low levels of ketones and low blood sugar, resulting in a lack of ketogenesis and the promotion of hypoglycemia in response to fasting. In a study in children with this genetic variant, ketone production in a 24 hour fast was almost non-existent, with some experiencing symptomatic hypoglycemia. The CPT1A gene is found in the liver and kidney, is responsible for ketogenesis, and is the key regulator for importing long-chain fatty acids into mitochondria to help maintain energy and normal blood sugar levels when carbohydrate intake is low. Researchers have considered mutations in CPT1A as one of the strongest selective genetic sweeps reported in human history. Why would nature select a genetic impairment in fat metabolism in a high-fat diet environment that actually prevents ketosis? The CPT1A gene mutation increases heat in the body to stay warm in a cold climate by directing free fatty acids away from liver cells to brown fat, a greater capacity for gluconeogenesis (creation of glucose) and an improved ability to excrete urea to remove excess ammonia from a high-protein diet. Omega-3 fatty acids increase mitochondrial fatty acid oxidation by stimulating the activity of CPT1A, showing a biochemical adjustment for the high omega-3 intake. The deleterious effects of the mutations in CPT1A occur when the traditional diet changes to a high-carbohydrate diet or environmental stressors such as fasting (especially during strenuous exercise) or pathogens. We have already seen this effect with the young Arctic generations succumbing to the Western diet, increasing the rates of obesity and Type 2 diabetes. The amount of meat eaten is very large. In times of plenty, an average adult consumes 4 to 8 pounds in a day. Growing adolescents require even more. Babies are wholly breastfed until the end of the 2nd year when meat is added to their diet. Children often nurse irregularly until the’age of 4 or 6. The amount of fat eaten varies with the individual and the season of the year. In warm weather about one-seventh of the meat may be fat, in cold weather, especially when the Eskimos are traveling, one third to one-half may be taken as fat. Krogh and Krogh have analyzed lean seal meat and found it to contain 6 to 10 percent of fat. According to their data, the average daily food partition is about 280 g. of protein, 135 g. of fat, and 54 g. of carbohydrate of which the bulk is derived from the glycogen of the meat eaten. There isn’t one documented culture that survives on a year-round high-fat diet that puts them in a perpetual state of ketosis. We also do not have any long-term studies on people following a Ketogenic diet over decades of time. If the Ketogenic diet is lacking diversified fiber, there can also be a dramatic negative shift in the microbiome for those requiring more fiber in their diet. Higher requirements for fiber can be seen by looking at genes like the FUT2 and SHBG (women) genes in the Nutrition Genome Report. As you go farther from the equator, fat intake increases and plant intake goes down, and as you get closer to the equator, the lower the intake of total and type of fat and the higher the intake of plant foods. The inclusion of dairy, however, changed this for populations like the Maasai of Africa. The fat on animals are highest in the fall and winter and are leanest in the spring and summer. This is nature providing more fat intake to increase body heat in the cold, and more protective compounds in plants to help protect against heat stress and sun damage. Having access to high animal fat foods year-round in every climate from around the world doesn’t line up with our genetic or environmental adaptation pattern. The example of the Inuit is that evolution responds to a low-carbohydrate diet by protecting against ketosis and adapts to a high intake of specific types of fats. We do know that therapeutic periods of ketosis have been practiced by hunter-gatherers in certain parts of the world through fasting from several days of unsuccessful hunting and gathering outings, and that research has found tremendous benefits from entering periods of ketosis. The key is discovering which individuals benefit from consistently entering these states of ketosis, and who might experience too much stress from high amounts of certain fats and extended fasting periods. Did the Maasai Tribe of Africa Follow a Ketogenic Diet? The Maasai tribe of Africa are well known for their high saturated fat diet composed of mainly of dairy, along with meat and blood from their herds, and plenty of honey, plants, bark, and herbs. They also are known to make a strong honey beer with medicinal plant extracts. The Maasai experience a climate with wet and dry seasons, with cows producing less milk in the dry reasons, altering the fat intake during this time of the year. Due to their geography, fish is not part of the diet and therefore omega-3 intake is low. Despite being a high-fat diet, the Maasai diet is not a Ketogenic diet. One study found that despite a diet high in saturated fat from dairy and a small percentage of omega-3’s, the red blood cells of the Maasai were composed of comparable omega-3 levels to populations consuming higher amounts of EPA and DHA. This is another incredible example of adaption, and researchers have found that the Maasai have genetic mutations for lactose breakdown (like Northwestern Europeans) and regulating cholesterol levels despite a high-fat diet. There are most likely other genetic adaptations yet to be discovered in the Maasai that maintains healthy omega-3 levels despite a low omega-3 intake. Less is known about the genetic sweep of variants in the PPAR-alpha gene, but we can make some educated guesses based on what we know about the Arctic CPT1A gene mutation. 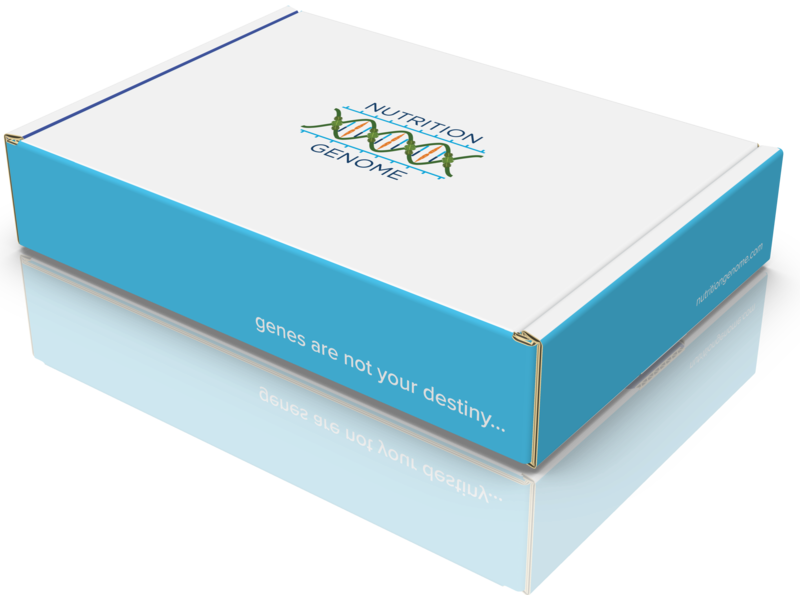 In the Nutrition Genome Report, you can find your genotype for the PPAR-alpha gene in the Digestion section (only available in the DNA kit version of the Nutrition Genome Report). The PPAR-alpha gene plays a major role in fatty acid metabolism, apolipoproteins, HDL, LDL and ketone body production during fasting. Like the CPT1A gene, variants in the PPAR-alpha gene may cause a lower production of ketone bodies during fasting. It is sensitive to saturated fat intake, and also, like CPT1A, PPAR-alpha is stimulated by omega-3 fatty acids, but also healthy omega-6 fatty acids (nuts and seeds). 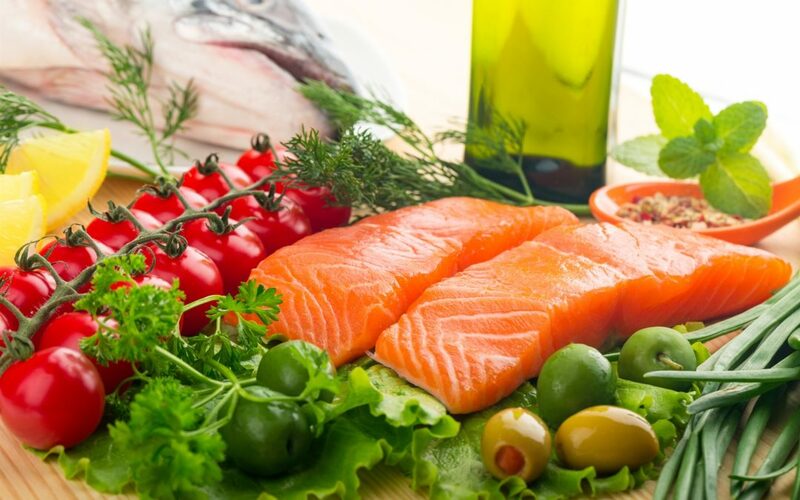 It is also stimulated by astaxanthin (wild salmon, crab, shrimp, krill), pterostilbene (blueberries, mulberries, cranberries, raw almonds), zinc (high in seafood), tomatoes, Lion’s Mane mushroom, fermented soy, and Gynostemma tea. Interesting enough, coconut oil, a tropical saturated fat, does not negatively affect PPAR-alpha like other saturated fats. In my opinion, variants in this gene point towards coastal cultures that adapted to a higher omega-3 intake and other foods more common in temperate climates, as well as a consistent food supply. From my own clinical experience, many people with variants in this gene have blood sugar levels that drop quickly, have issues with high saturated fat intake (coconut oil being the exception), and do best on consistent feedings with three meals and multiple snacks throughout the day. So if you ever wondered if it was better to eat three meals a day without snacking, skipping breakfast to fast longer, or to eat three meals with snacks in-between, this gene may give us insight that it depends on the individual. The interesting part of this gene is that stimulating it has been demonstrated to inhibit tumor growth and angiogenesis (new blood vessels for cancer cells). Nature may have responded to the consistent food intake without long fasting times and created another way to prevent cancer growth for this subset of people. Fasting and ketosis may be too much of a stressor for people with variants in PPAR-alpha, or a shift to more monounsaturated and polyunsaturated fats, lower fasting times and consistent intake of foods that stimulate the PPAR-alpha gene may be the best approach for optimal health for this subgroup. Monitoring your biomarkers is the best way to get accurate feedback. This is an excellent example of why there is not a one-size fits all diet, and that multiple variations may be required for every diet to work for each individual. If you or your practitioner are trying to determine if the Ketogenic diet is right for you, the Nutrition Genome Report can help give you a comprehensive understanding of your personal biochemistry, including your response to fasting and ketone body production, what types and amounts of fats your body has adapted to, and which foods need to be focused on whether it is the Ketogenic diet or any other diet by the multiple genes tested. This can help you fine-tune your personal ancestral diet, leading to the most successful outcomes for health. Genes to assess: PPAR-alpha (in the DNA kit version of the Nutrition Genome Report only), ACSL1, APOA2, APOE4, TCF7L2, SHBG, FTO (in the DNA kit version of the Nutrition Genome Report only) and SLC22A5. Where are you from? Where did your ancestors spend thousands of years? Are your genes showing a colder, northern heritage with improved saturated fat metabolism and ease of fasting? Or do they reflect more of a Mediterranean migration route with less saturated fat, more monounsaturated and polyunsaturated fats, less fasting times and more consistent food intake? What is your current climate and season? Do you currently live in a cold/dry, temperate, hot and dry, or cold and wet climate? What foods are in season and how are that climate and season affecting your metabolism and dietary requirements? How do you feel fasting? Do you feel that your blood sugar drops easily? Are you irritable or lethargic when you wait too long in-between meals or after 12 hours? Or do prefer more of a feast and fast style of eating? What does your bloodwork look like on a Ketogenic diet? Have your health care practitioner monitor your bloodwork to confirm the expression of your gene SNPs to give you real-time epigenetic results.